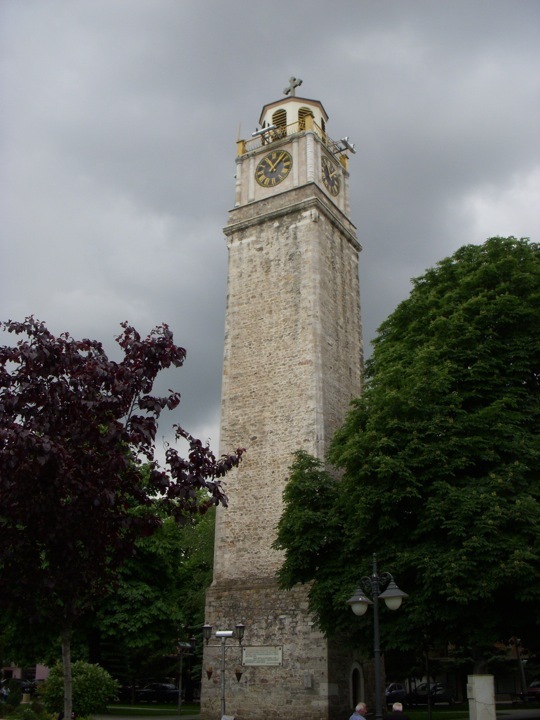 The clock tower in Bitola is the pride of the people. It was first built in 1664 but got its present appearance in the 19th century, and is 30 meters high. 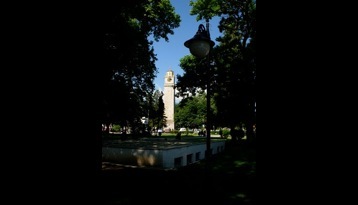 Bitola is a lively town that boasts the most beautiful architecture in Macedonia. 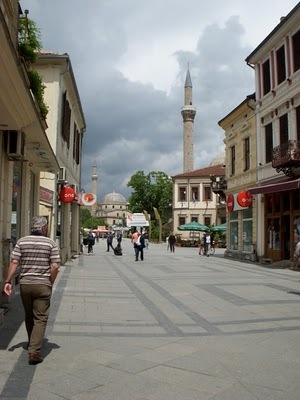 Over shadowed by Ohrid, but recognized as a lovely town that has kept its sophistication from the Ottoman era and prior to world war two. 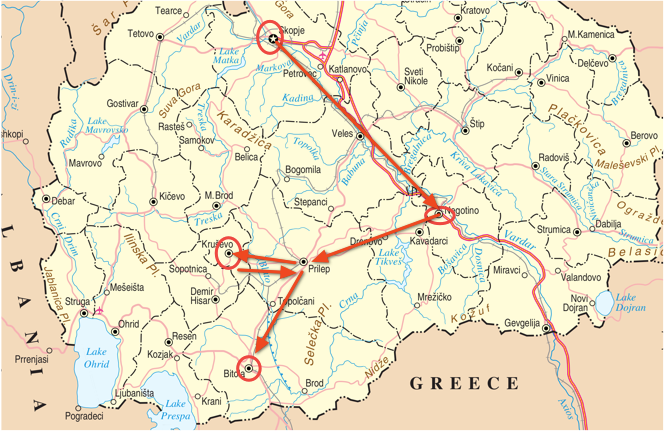 Indeed, a charming city, and it is a favourite city to the Macedonians since it has most European atmosphere. It was a seat of consuls in the 19th century and with them they brought the European culture and influenced the local aristocracy, who started living in European fashon and building their houses in mixed neo-classical styles. 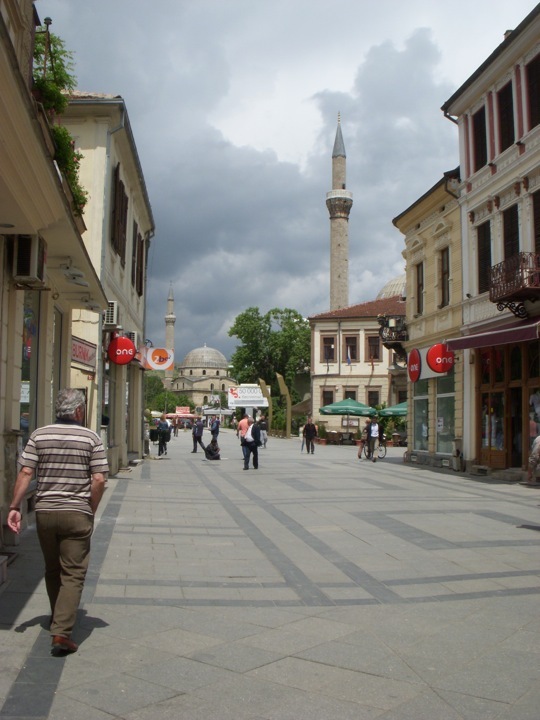 As the second biggest city in Macedonia, Bitola feels like a mid-size town. 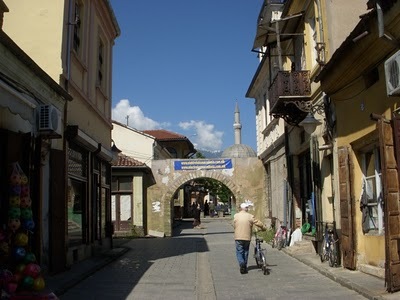 The Old Bazaar has pleasant small squares with water fountains and many Ottoman monuments in and around it. A large portion of the old bazaar was demolished in the 1950s for the city square to be built, yet, the main monuments were left standing. The food market has excellent raw food. 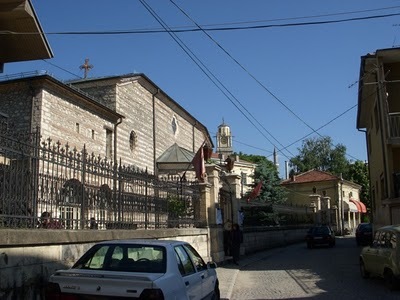 The above picture is an old Catholic Church with the clock tower and a mosque in the background. I get a great deal on the hotel, a single room was regular 35 Euro I got it for 15 Euro a night, the standards were like a four star hotel. I also bought some new clothes. I am not a big fan for European clothes, I mostly wear clothes from Cabelas back in the US, but it is too costly to ship and I am due for a change. So I found a pair of 100% linen trousers which is excellent material and two plush extra soft 100% cotton polo shirts and all made in Macedonia, not China or Turkey. Plus these clothes are very light. 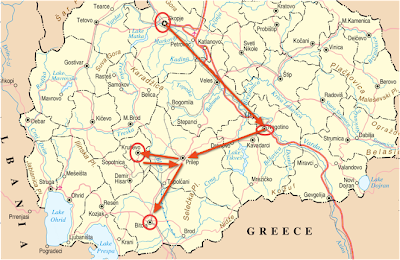 Previous post: A Few Different Dynamics of Travel within Round Two.